SKU: 7716. 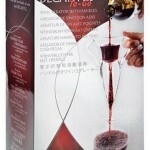 Category: Decantus Wine Aerators. 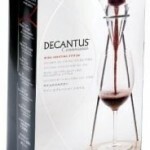 The Decantus Aero Aerating Pourer. All wine need to react with air to reveal its fullest flavor and bouquet. This fact was recognized and a way was soon developed to rapidly oxidize wine in seconds. 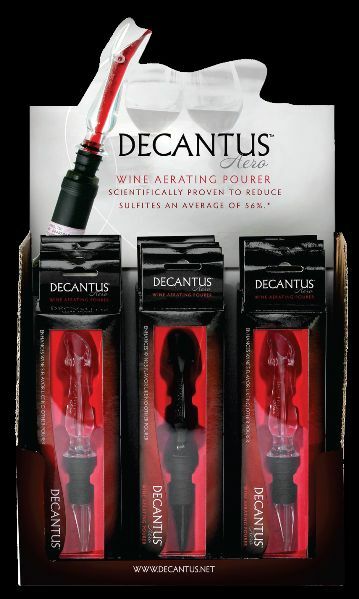 The Decantus Aero Aerator pourers utilize the Bernoulli (a Swiss scientist) effect where the reduced pressure of a stream of fluid draws an air flow through diagonal thin tubes inside the aerator. The wider opening on top and larger liquid capacity of the top reservoir bowl makes pouring into the DECANTUS™ wine aerators much easier than with the Vinturi Aerator. Wine travels faster through it without a whirlpool effect. This is because of the vertical planar insert. The “froth” from DECANTUS™ has finer bubbles. This gives a smoother aeration over any other aerator on the market. This set includes the handles as part of the package. Free sulfites are chemical agents that are added to wine in order to protect it during transportation and for its ensued conservation. This practical benefit considered, sulfites nevertheless contribute to conceal the full potential of wine and are known to cause intolerances with certain people. For those reasons, they become undesirable at the moment of consumption. The aeration process permits their evacuation, and DECANTUS gets the job done quickly and at a moment’s notice. Statistic tests show a significantly better aeration rate along with a remarkable 56% decline in sulfite levels! 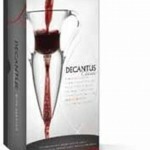 The Decantus Aero aerating pourer utilizes the Bernoulli effect where the reduced pressure of a stream of fluid draws an air flow through diagonal thin tubes inside to rapidly aerate and to effectively decrease the presence of nitrates in wines. 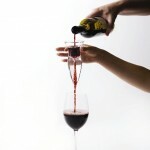 This process dramatically “softens” the wine and opens up the forward fruit aromas. 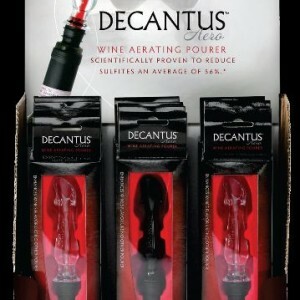 Be the first to review “Decantus Aero Aerating Pourer” Click here to cancel reply.